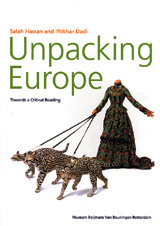 Edited by Zoë Gray, Nicolaus Schafhausen, Monika Szewczyk. Text by Ken Lum, Koen Kleijn, Andrew Renton. Preface by Matt Gerald. Text by Ken Lum, Maité Vissault, Wang Min An. Edited by Jo-Anne Birnie Danzker, Ken Lum and Zheng Shengtian. Essays by David Clarke, Xu Hong, Xu Jian, Zhang Qing, Kuiyi Shen, Michael Sullivan, Shui Tianzhong and Shelagh Vainker. Essays by Carol Becker and Ron Platt. Foreword by Nancy Doll. Edited by Ralph Rugoff. Essays by Douglas Coupland, Lisa Robertson and Matthew Stadler. Edited by Iftikhar Dadi and Salah Hassan. Artists include: Willem Boshoff, Maria Magdalena Campos-Pons, Heri Dono, Jimmie Durham, Coco Fusco, Ni Haifeng, Ken Lum, Keith Piper, Yinka Shonibare. Edited by Hans Ulrich Obrist and Barbara Vanderlinden. Texts by Bruno Latour, Peter Galison, Jonas Mekas and others. Interviews with Carsten Holler, Odalele Ajiboye Bamgboye, Okwui Enwezor, and others. Since its inception in 1990, Witte de With has exhibited some 300 artists and, through its publications, lecture programs and participation in events such as the Venice Biennale and the Shanghai World Expo, the center continues to shape international discourse on art and its institutions. 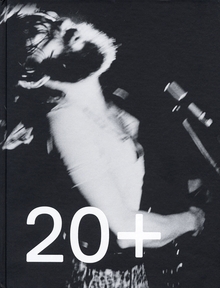 On the occasion of its twentieth anniversary, Witte de With Publishers presents a survey celebrating these achievements. Hardcover, 9 x 12 in. / 304 pgs / 50 color / 300 duotone. Edited by Pi Li. Text by Pauline J. Yao, Chris Dercon, Ken Lum, Ruth Noack. Accompanying the sixth annual Contemporary Chinese Art Awards exhibition, this catalogue offers images and texts on works by Liu Wei (outstanding artist), Tseng Yu-Chin (outstanding young artist) and Ai Weiwei (lifetime contribution). 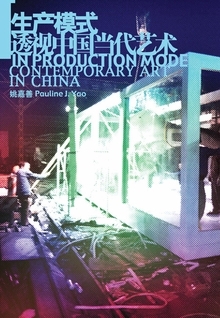 It is bundled with a monograph by Pauline J. Yao, recipient of the CCAA award for independent art criticism. Slip, Paperback, 2 vols, 5.75 x 8.25 in. / 276 pgs / 160 color. Chen Zhen (1955-2000) was among the members of the Chinese avant-garde who chose exile over political repression. In 1986, he left home for Paris, where, after a few years of seclusion, he began to show pioneering work he called "open sculpture," which found swift international acclaim. 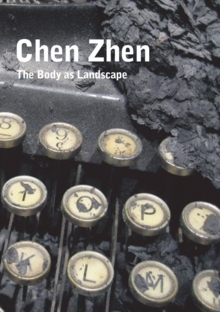 Chen Zhen's pieces often presented utopias of multicultural dialogue, poetic landscapes full of unusual material alliances, hybrids and new connections between Eastern traditions and the Western artistic vocabulary. That fundamentally personal approach, in echoing his own spiritual seeking and cultural homelessness, radiates enormous power. Later the artist fused his chosen exile, his illness and traditional Chinese medicine, surveying and synergizing the relationships that define the social body. Works like "Lumière innocente," an incandescent cocoon of hospital tubing woven around the frame of an antique crib, and dated 2000, the year of his death, are both elegant and heart-wrenching. This selection of more than 30 drawings, photographic works, sculptures, and installations made between 1978 and 2000 tracks each major phase of the artist's work. 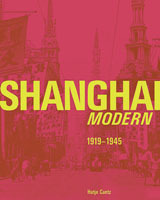 In the 1920s and 30s, Shanghai was established as one of the world's major cities. A vital, prospering metropolis with a population of over one million, and the commercial and cultural center of China, it was one place where it was certain that Western influences would have a forceful impact. Consequently, artists from different disciplines took part in the lively debates on the issue of what direction Chinese art and culture should take and Shanghai Modern documents this vigorous cultural exchange between the country and Europe, especially Germany. Through essays by authors of international renown, this book sheds new light on the early years of China's Western gaze, while it presents a magnificent collection of works by early exponents of Chinese Modernism, many of which have never been shown before. Hardcover, 9.5 x 11.75 in. / 424 pgs / 264 color / 39 bw. 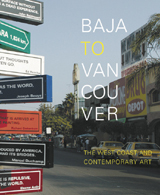 Baja to Vancouver: The West Coast and Contemporary Art is the first major survey of recent art from the western edge of the United States, Canada, and Baja California, Mexico. Focusing on works that engage with the social landscapes of this transnational corridor, this publication presents compelling and surprising images of a distinctive cultural terrain--one that is arguably the most vital region of contemporary art production in North America today. With essays by Vancouverite Douglas Coupland, Matthew Coolidge of the Culver City, California-based Center for Land Use Interpretation, Lisa Robertson of the Vancouver-based Office for Soft Architecture, and others, and more than 110 reproductions of artwork by Delia Brown, Roman de Salvo, Trisha Donnelly, Stan Douglas, Sam Durant, Harrell Fletcher & Miranda July, Chris Johanson, Ken Lum, Liz Magor, Roy McMakin, Larry Sultan, Ron Terada and others. Hardcover, 9 x 11 in. / 152 pgs / 100 color / 10 bw. Published by Weatherspoon Art Museum. Contemporary art, with its inherent contradictions, ambiguities, and market alliances, is an idiosyncratic--even problematic--lens through which to examine situations borne of economic necessity. Nevertheless, some artists do challenge their own system, choosing to proactively address economic dispossession and the larger social and political factors that contribute to adverse economic conditions. Seeking to counteract stereotypical expectations and portrayals of lower-income existence, Borne of Necessity brings together recent and newly commissioned work by Julie Ault and Martin Beck, Peggy Diggs, Anthony Hernandez, Tom Hunter, Marjetica Potrc, Michael Rakowitz, Camilo José Vergana, Ken Lum, Samuel Mockbee and The Rural Studio, and the artists' collective Temporary Services with Dave Whitman. Accompanying reproductions of the artists' projects are essays by curator Ron Platt, who frames the exhibition within current contemporary practice, and Carol Becker, who discusses the ways in which artists engage new strategies in politically oriented works. Also included is a CD of “Dave's Stories,” a sound piece produced by Temporary Services. Paperback, 8.5 x 11 in. / 80 pgs / 43 color / 11 bw. How European is Europe? 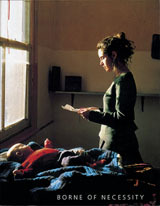 In Rotterdam, the 2001 Cultural Capital of Europe, curator Salah Hassan posed this question to 18 international artists. Yinka Shonibare, Jimmie Durham, Willem Boshoff, Heri Dono, Coco Fusco, Ni Haifeng, Ken Lum, Maria Magdalena Campos-Pons and Keith Piper are just a few of the artists whose non-European perspective has been brought to bear on the contradictions between the official story of Europe and its everyday reality, where heterogeneity, hybridity and cultural influences mutually determine the norm. Paperback, 9.5 x 6.75 in. / 224 pgs / illustrated throughout. At first glance, the artist and the scientist don't seem to have very much in common. One deals with aesthetics, emotions, and visual power, while the other works with facts, verifiable proof, and academic rigor. At another level, however, we find similarities: both artists and scientists work in the realms of imagination, of asking what is possible, of experimentation. One of the ways that these similarities find their expression is in the workplace: the artist's studio and the scientist's laboratory. 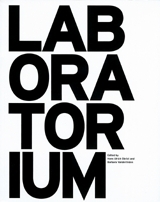 Laboratorium explores the laboratory and the studio on the basis of their various concepts within different disciplines. Drawings from distinct yet interrelated domains, the book singles out complex scientific and artistic investigations into the limits and possibilities of the places where knowledge and culture are made. Published on the occasion of an exhibition in Antwerp, it presents, in a volume designed by Bruce Mau, the experiments, laboratories, and projects initiated by participants from various fields in the arts and sciences. In addition, there are several essays and interviews that trace the intellectual implications of the workplace and process of investigations.